First Time Mama - First Time Blogger: What have I been doing lately? I'm reading the greatest book called "BLOOM" by Kelle Hampton - Some of you might know her name from her amazing blog called Enjoying the Small Things. Love it. Love her book. Love her photography. What a heartfelt read! I have been up to my eyeballs lately in "How to raise your Toddler" books but I had to fit this one in. I'm so glad I did. I highly recommend Bloom - it's a fast & easy read. But make sure to have tissues nearby too! Speaking of books ... I want to mention 2 "toddler books" that I am reading now that are quite helpful in dealing with the 'unexpected' issues that happen daily with Julianna. And God knows it's ALL unexpected at this age - 23 months! I am a big researcher & reader when it comes to this stuff. I am not a person that can just 'wing it'. I give huge props to those moms that can just wing it. I can't. Brian and I joined the "Organic" Community Garden in our town. 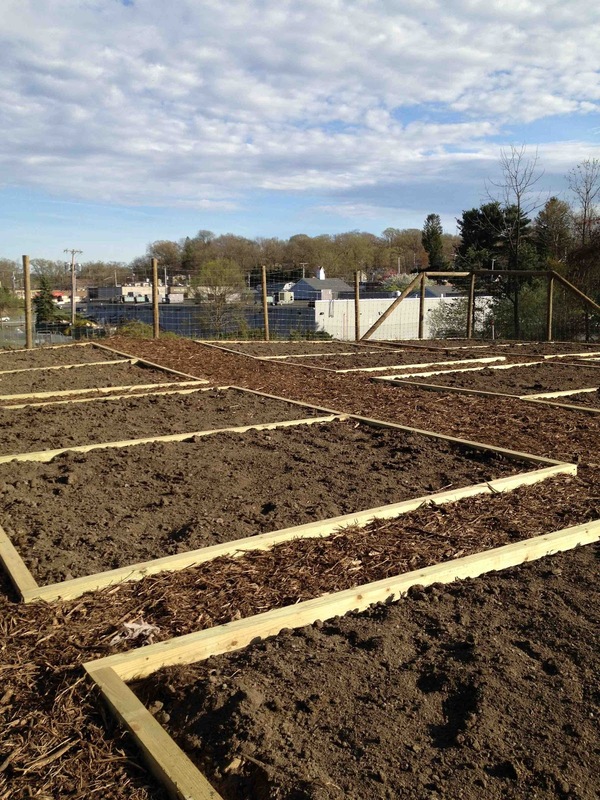 It started up a few months ago - and they recruited a bunch of nice volunteers to help construct & build the garden plots. My husband was recruited onto the "committee". 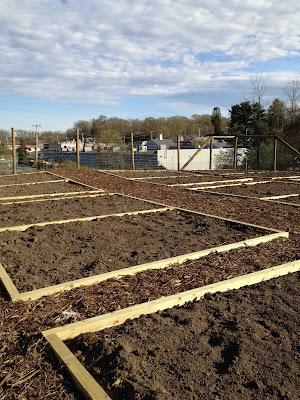 They had to excavate the land, build the plot boxes (30 I think), distribute the soil & mulch. Brian volunteered all last weekend getting them in shape with his John Deere tractor from PowerPlace in Rockaway NJ. Everything in the garden is organic including the soil, seeds, flats, and anything else you use in the garden. They are trying to keep it very pure and chemical free. We are going to plant lettuce, oregano, basil, carrots, green beans, tomatos, and some other great stuff! I have not been involved with the building of the garden only because I am just not a 'dig in the dirt' type of person. I will be more involved once our stuff is planted and we can go there with Julianna to tend to our garden. New living room furniture! After 8 long years with our 'dog fur magnet' stinky dog puke Microfiber sofas... we decided to bite the bullet and say adios to them! We had been talking about getting a sleeper sofa anyway, due to the fact we have family that comes to visit from out of town, and our house does not have enough bedrooms, thus making it inconvenient for all. Sleeper sofa was the way to go. So off to Bobs Furniture we went. We got a really soft and comfy leather sleeper sofa and accent chair. I can't wait to have it delivered this week! New furniture rocks. p.s. We listed our old sofa and oversized chair on craigslist and it sold in less than one day. Cha Ching! First Yankees game of the season - we have tickets to go to see the Yankees vs. Detroit Tigers on the weekend of 4/28. Brian's friends are coming to NJ to visit, and they are going to the game with us. I can't wait - as some of you know what a HUGE Yankees fan I am - I am counting down the days until we go to the Bronx. Hoping for good weather. Can't wait to eat peanuts, garlic fries and hotdogs! As always, I will be snapping tons of pictures... have a great day my friends! I just finished Bloom. Love it. I hope she comes around here with a book tour.